The state or extent of being connected or interconnected. 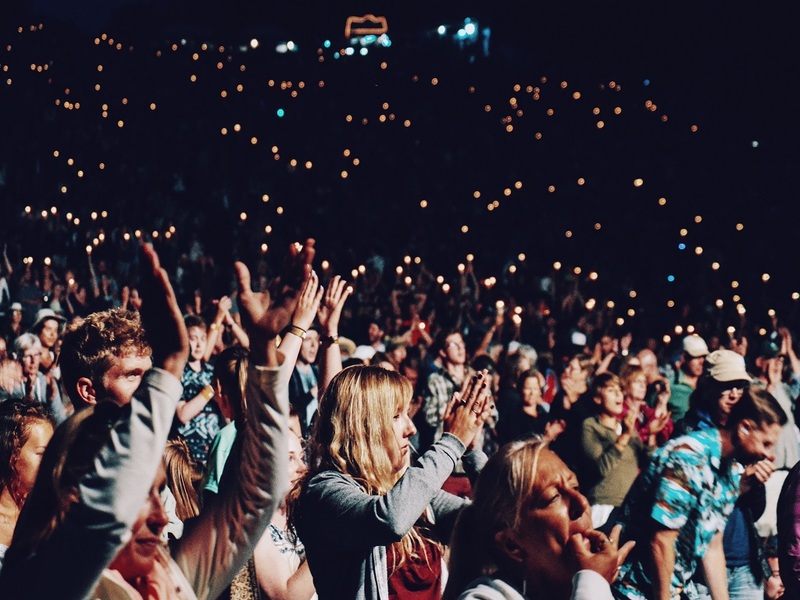 ACMP is increasing the connectivity of the change management community and leading the way change works through events, programs, and professional development opportunities. 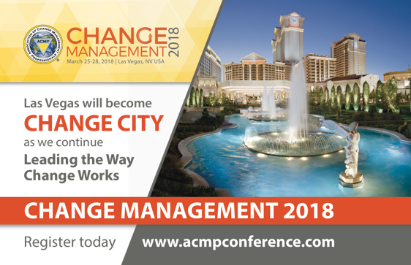 Whether it be by participating in our upcoming Regional Conferences, registering for Change Management 2018, or becoming one of the First 500 Certified Change Management Professionals™, CONNECT with ACMP! We have officially kicked off our 2017 Regional Conferences with Change Management – Regional Canada in Vancouver! It was two days of professional education, networking and more. 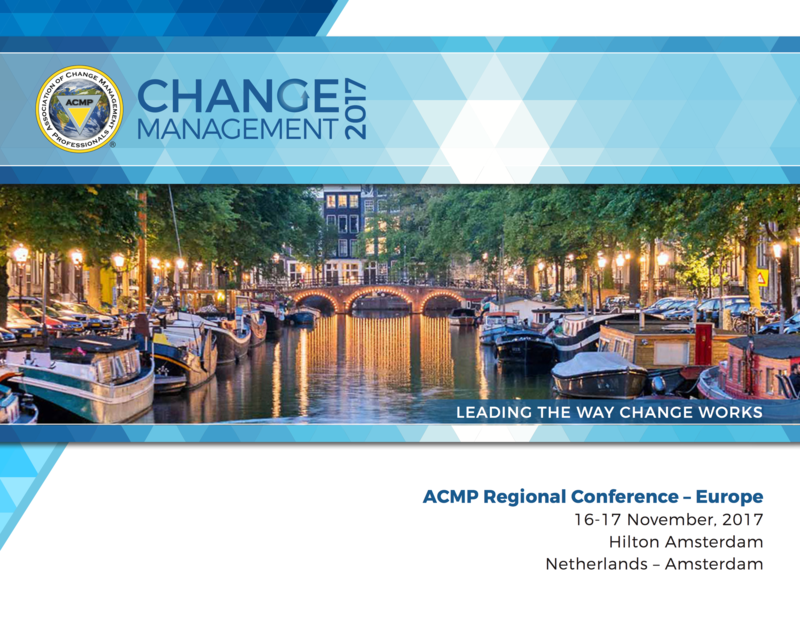 If you were not able to attend last week’s conference, you still have TWO additional opportunities to be part of “Leading the Way Change Works” during Change Management – Regional USA and Change Management – Regional Europe! Explore all the benefits of attending an ACMP conference by visiting our newly updated conference homepage: www.acmpconference.com. 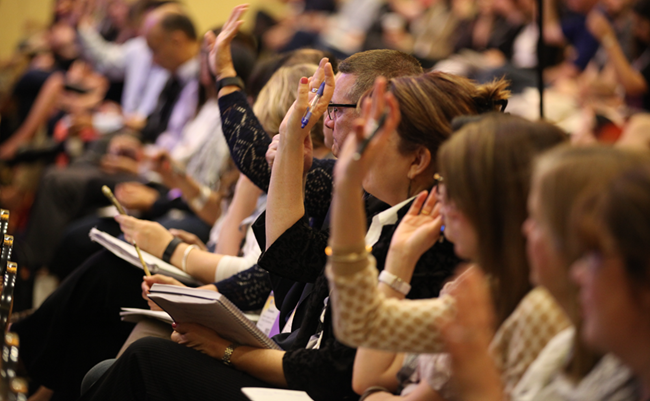 Strengthen and expand your change management expertise this fall by attending a Regional Conference. We look forward to CONNECTING with you in the next couple months! Interested in sharing a unique, professional perspective? Then submit your White Paper by October 16 for a chance to win complimentary conference registration. Click HERE for additional details! We look forward to CONNECTING with you at one of the industry’s most premier events! 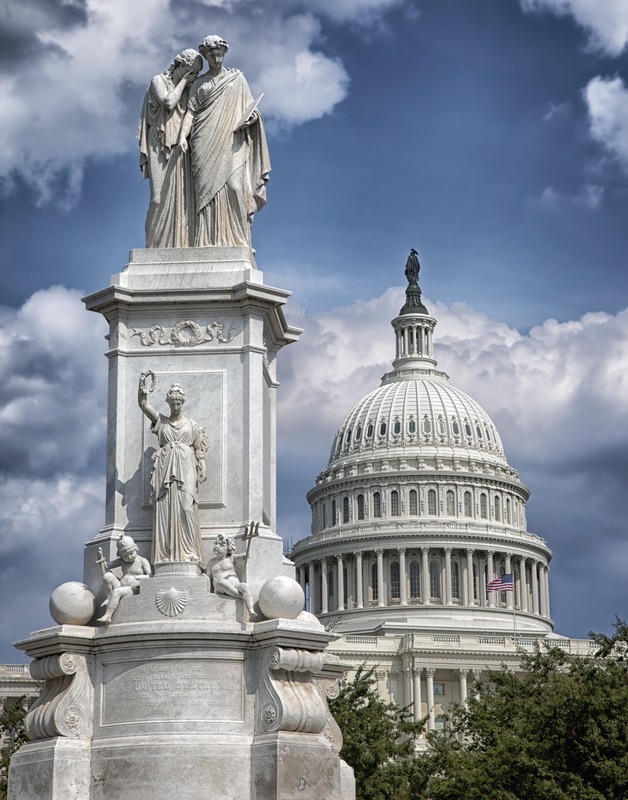 We are getting close to certifying the First 500 Certified Change Management Professionals™ (CCMP™) and don’t want you to miss out on the opportunity to be recognized as a trailblazing change leader committed to advancing the discipline and profession. The next exam window will open on October 7th. 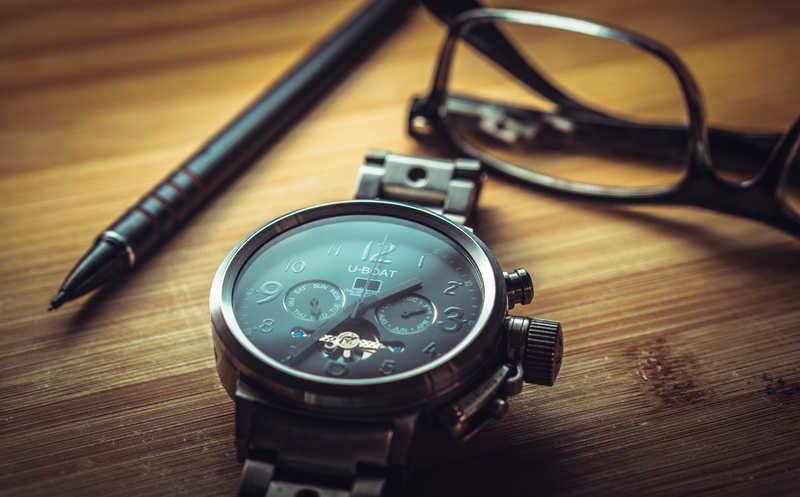 Once your CCMP application is approved, you may schedule to take the exam from nearly anywhere in the world at any time at one of these exam centers. To prepare for the exam, download The Standard for Change Management®, study these flash cards and review the ACMP Code of Ethics and Professional Conduct. Every month, we host coaching calls to answer questions about the CCMP and to CONNECT you with resources available to guide you through the process. Our next call is scheduled for October 10th, you can register by visiting the events section of the ACMP website. Our Qualified Education Provider™ Program is a registry of courses that are aligned to internationally recognized The Standard for Change Management® and adult education best practices. If there is not a course offered in a physical location near you, you can enroll in one of the online offerings from wherever you may be. If you are looking to become certified, this is the easiest way to fulfill the 21-hour training requirement. The Call for Volunteers will be open October 2nd through the 31st. ACMP Volunteers are truly the heart of the association and we hope you will consider dedicating your time and skills to one of our committees. Check out ACMP’s Volunteer Central for more information about ways you can contribute your time and skills to leading the way change works. By being an active contributor to one of the volunteer committees, CCMP Grads can earn PDUs toward the “Giving Back to the Profession” category. On November 7th, we will be holding an Annual Member Meeting to share exciting updates with you. 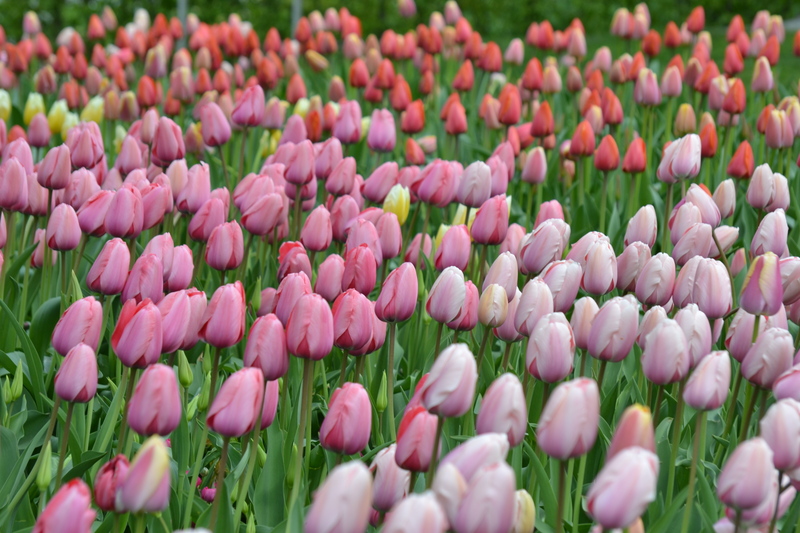 Please CONNECT with your fellow ACMP members as the Board of Directors takes the opportunity to reflect and celebrate ACMP’s progress with you. To join the meeting, please RSVP for one of the two times offered on November 7th at 7 am and 5 pm EST. If you are unable to attend, don’t worry – we’ll post the recording on the ACMP Resource Library. We are offering two webinars a month for members of various skills and background levels. Check out our website for the full listing of upcoming webinars. 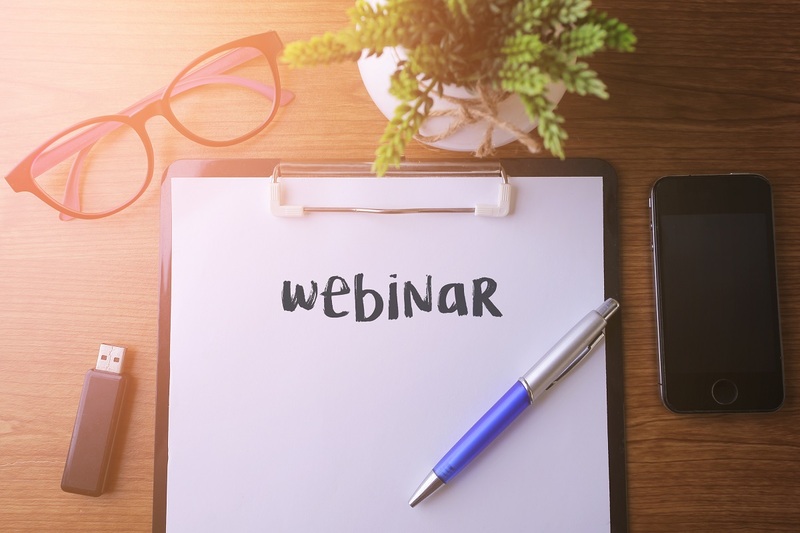 If you are unable to attend on the scheduled date, members can also view recordings of webinars in the updated Resource Library on the ACMP website. For CCMP grads, each webinar counts for 1 PDU in the “Education” category. Interested in viewing past members-only webinars? Join ACMP today! ACMP has many opportunities for you to share your knowledge and apply your skills by creating change management-related content. The Call for White Papers is open now until October 16th; the winning white paper will be featured at Change Management 2018 in Las Vegas next March. Also, the Call for Speakers for Regional Conferences is open until December 31st. If selected for either the white paper presentation or to speak at a regional conference, CCMP grads can earn PDUs for the “Giving Back to the Profession” category. 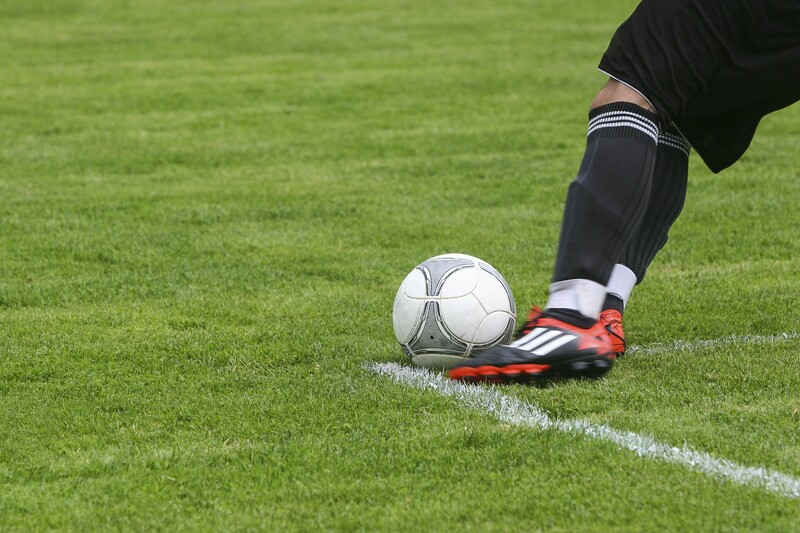 As a reminder, registration is still open online and will be available on site. Accelerate your expertise in Amsterdam 16-17 November! With Pre-Conference Workshops, premier keynote speakers, various sessions and infinite networking opportunities, your expertise will expand during Change Management – Regional Europe 2017! Sign up by 30 September to receive the Advanced Rate and save on registration! In addition, after you sign up for conference, be sure to confirm your stay at Hilton Amsterdam where all the action will be taking place during conference. The Group Rate has limited availability and ends 23 October, so book today! 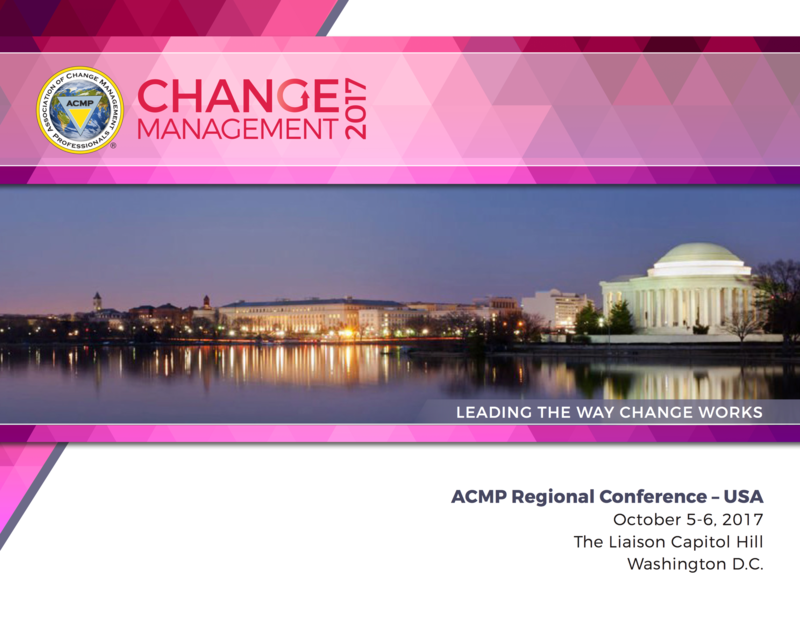 As a ACMP Regional Conference sponsor, your organization can expand its awareness to a targeted audience of change management experts, leaders and practitioners. From various sponsorship levels, exhibit booth options and more, sponsorship packages can be customized to suit your brand’s needs. 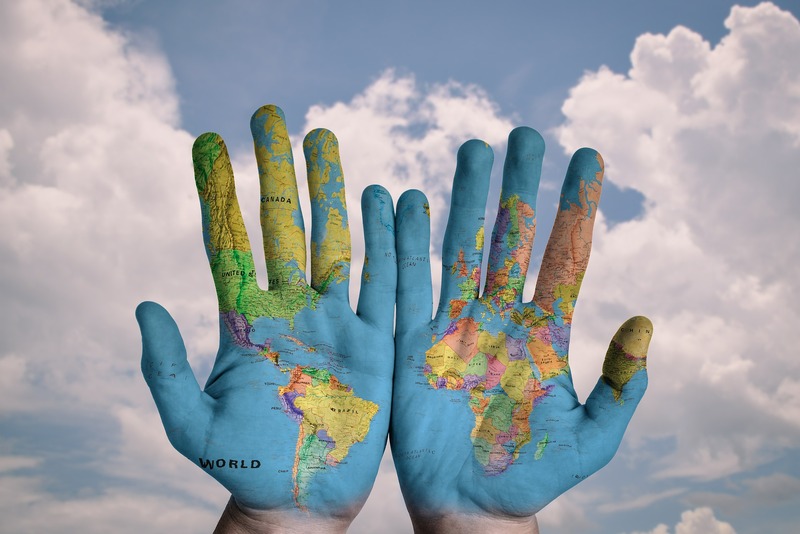 By supporting Change Management – Regional USA or Europe, your organization can showcase its brand to the change community and help support the growth of the overall discipline.